Discover powerful hidden social "levers" and networks within your company… then, use that knowledge to make slight "tweaks" that dramatically improve both business performance and employee fulfillment! 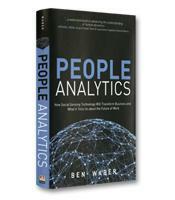 In People Analytics, MIT Media Lab innovator Ben Waber shows how sensors and analytics can give you an unprecedented understanding of how your people work and collaborate, and actionable insights for building a more effective, productive, and positive organization. In addition to his position as visiting scientist at the MIT Media Lab, Ben Waber, author of People Analytics, is president and CEO of a company that uses social sensing technology to help companies better understand how their employees communicate and collaborate. The goal, as detailed in his book, is to show companies how to improve in areas as diverse as employee performance, project management and innovation. At the heart of social sensing technology is the Sociometric Badge, or simply "the badge." The badge is a general-purpose sensing device about the size of a pack of cards that combines a number of different sensors; these sensors allow researchers to monitor and analyze many aspects of human behavior. One early experiment, for example, observed participants at a speed dating event. Women sat at tables arranged in a row and men moved from table to table, conversing for only five minutes at each stop with a potential date. Looking only at the social signals recorded by the badges, the researchers could predict which two people would go on a date with 85 percent accuracy. Another early experiment applied to a workplace situation, specifically the negotiation of salaries. Once again measuring social signals, researchers demonstrated exactly how important these signals were to the outcome of the conversation. As Waber explains, "This research indicates that if you are looking for an entry-level software engineering position, just changing the way you talk to your potential employer would give you a 30 percent greater chance of pulling in $90,000 versus $65,000." To better quantify relationships, scientists use the concept of the social network. 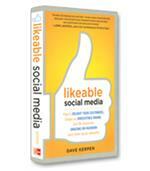 A social network, Waber explains, identifies the links between people. To diagram a social network, for example, five people would be represented by five dots, with lines drawn connecting those who are friends with each other. The same drawing could illustrate conversations during the day, with lines connecting those who talked to each other that day. In this case, you could also illustrate the number of conversations by making certain lines thicker (representing pairs of people who had multiple conversations that day). In People Analytics, Waber describes a number of areas in which research on social networks, with the help of the badge, explains the dynamics of successful organizations — or the root causes of low performance. For example, Bank of America asked Waber and his colleagues to determine why, despite extensive corporate-wide standards, some call centers performed better than others. The researchers studied a team of 80 call center employees at one call center and discovered a key to productivity and efficiency: the cohesion of the center’s social networks. Cohesion is a measure of how much the people you talk to talk to each other. In other words, if you have five friends and those five friends never talk to each other, your social network is not very cohesive. If, on the other hand, all five friends talk frequently to each other, you have a very cohesive social network. Looking at the data for the different call center teams, the researchers found that the more cohesive the team, the better it performed. Cohesion was best accomplished during breaks, which is when team members had the most opportunity to speak with each other. At the suggestion of the researchers, the company began aligning breaks so that all team members took a break at the same time. As predicted by the researchers’ hypothesis, the increased cohesion of the teams led to a significant increase in performance. 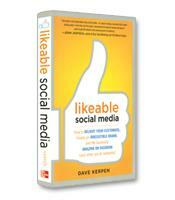 Understanding the importance of social networks offers insight into other aspects of business performance or strategy. For example, telecommuting might seem to be a creative way to cut costs. But, as Waber demonstrates, the impact of losing face-to-face communication among employees would offset any financial savings. People Analytics is a fascinating exploration of how today’s available data on social networks and the dynamics of communication help people to understand and decipher how organizations really work; the challenge might be to get executives and business owners to listen to the data.